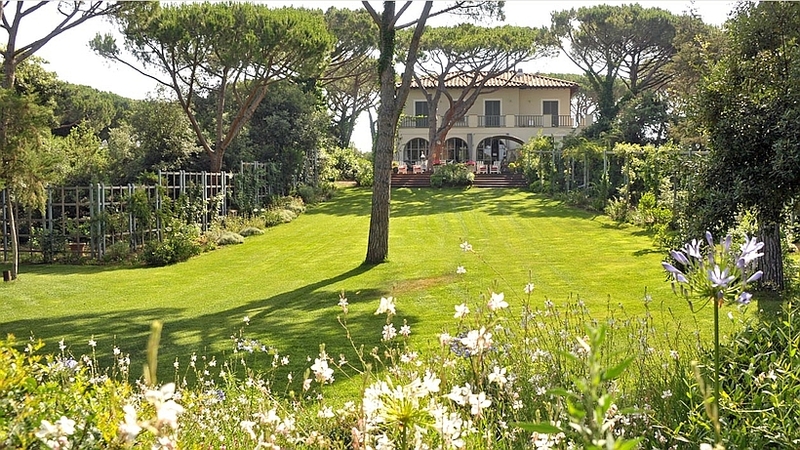 The Tombolino estate is the summer residence of a well known Florentine aristocratic family. 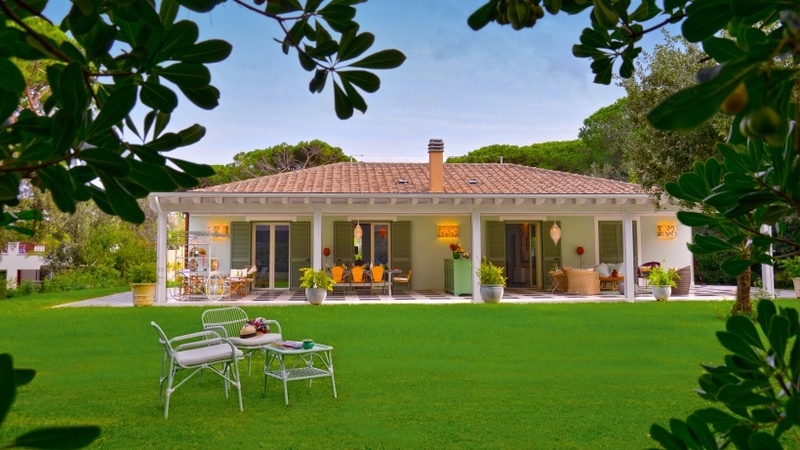 This marvellous stretch of land which runs along the famous Maremma coastline lies 1 hour south of Pisa very close to the famous village of Bolgheri which The New York Times ranked 11th out of 44 places to go in 2009. The estate is made up of the main Villa, a separate apartment in the Villa, and two small houses, with their own private garden. 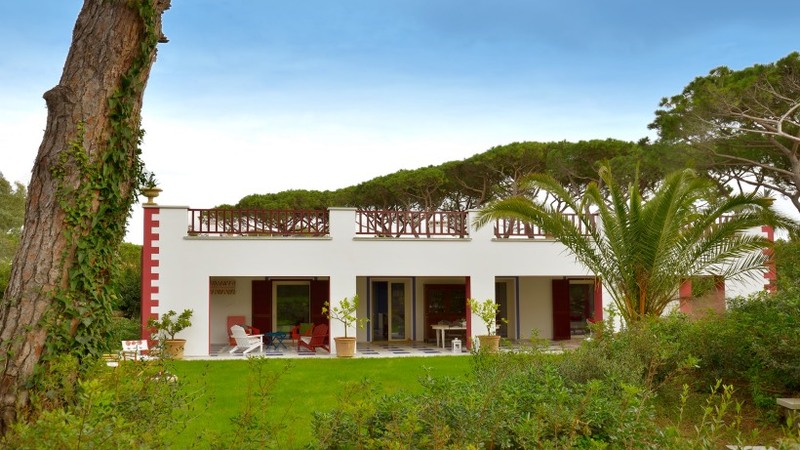 The villa and the houses have their own access to the beach which is reached by a path leading through e beautiful pineta (umbrella pine-tree wood). Guests are given their private key to the beach. Unspoilt beaches fringed with dunes are backed by hillsides covered in Mediterranean scrub and olive groves, crested by charming hill-top villages. The reclaimed flatlands where cattle used to roam herded by the local cowboys have today largely been given over to well-husbanded vineyards yielding some of the most prestigious vintages in Italy (Sassicaia, Ornellaia). Beaches: The coast between Livorno and Piombino is a succession of famous resorts and well-maintained clean beaches, many of which have been awarded Europe’s Blue Flag various times. It is here that Bolgheri DOC wines are produced – world-class wines such as Sassicaia, Guado al Tasso and Ornellaia as well as numerous others of the highest quality. This “Eldorado of Italian wine” as it has been called, is the result of nature’s generosity, the climate and the talent of its wine makers. Bolgheri has become one of the most interesting and gifted areas in the whole universe of wine thanks to some illuminated personages, among such as Mario Incisa della Rocchetta, the oenologist Giacomo Tachis and the Marchesi Piero and Lodovico Antinori. The experimental use of “international” grape varieties such as Cabernet Sauvignon, Cabernet Franc, Merlot, and the constant research for innovation and quality has attracted the interest and support of the best world wine critics such as Veronelli, Marvin Shenker and well know national and international wine producers. Massa Marittima. Here, in one of Etruria’s oldest and most prosperous communities, the same minerals that were extracted 2,500 years ago are still being mined. The first miner’s code in Europe was drawn up here in 1310. Three years earlier, the graceful Romanesque-Gothic cathedral was completed. Decorated with three orders of arches and slender columns supported by lion-headed capitals, it stands on a steep flight of stairs above the square that contains Massa’s medieval buildings, an architectural grouping characteristic of 13th-century Tuscan cities: the travertine Palazzo Pretoria of 1230 with its escutcheons of former mayors, the Palazzo Communale, formed of three crenelated tower-houses and decorated with frescoes, among them a Lorenzetti Madonna. An excellent Spa – The Tombolo Talasso Resort belonging to the Antinori family – lies in the next village. 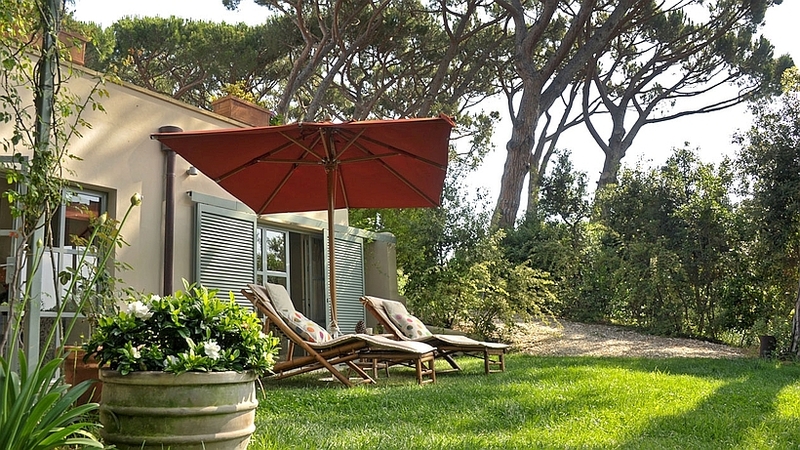 Castagneto Carducci: An enchanting medieval village built around the Gherardesca Castle. In 1907 the name of this municipality was changed in honour of poet Giosuè Carducci who spent a year here with his family. The medieval castle has been enriched in time and offers stunning views of the valley. Each spring Castagneto is the venue for a major gourmet festival which attracts enthusiasts from all over Italy. There is a sports club with olimpic sized pool, tennis courts, volley ball court. 4 golf courses can be reached from here. The most famous, the 18 hole Punta Ala golf club is at a 50 minute drive. The area is excellent for biking. Many champions come here to do their training. You can hire bicicles in the next village. Windsurf/ Sailing/ Boat Rental (catamaran, canoe, pedalo, sailing boat) in the nearby sea side resort Cecina, lessons for children and adults.